Congas Holdings Pty Ltd is an independent LPG distributor. Founded in 2013 operating out of our 2400 sqm bottling facility and depot in Delporton Krugersdorp. Our current Capacity is at 60 000 kg of LPG at any given time ensuring our customers a stable and consistent supply of LPG. Through our partnership with our loyal suppliers and distributors we have grown to well above 100 000 kg of LPG per month. To provide efficient and prompt service to customers. 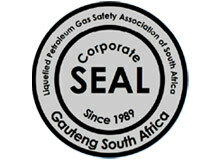 As an affiliate member of LPGSSA we are dedicated to the sustainable and growth of the liquefied petroleum gas industry through safety and compliance with best business practices.